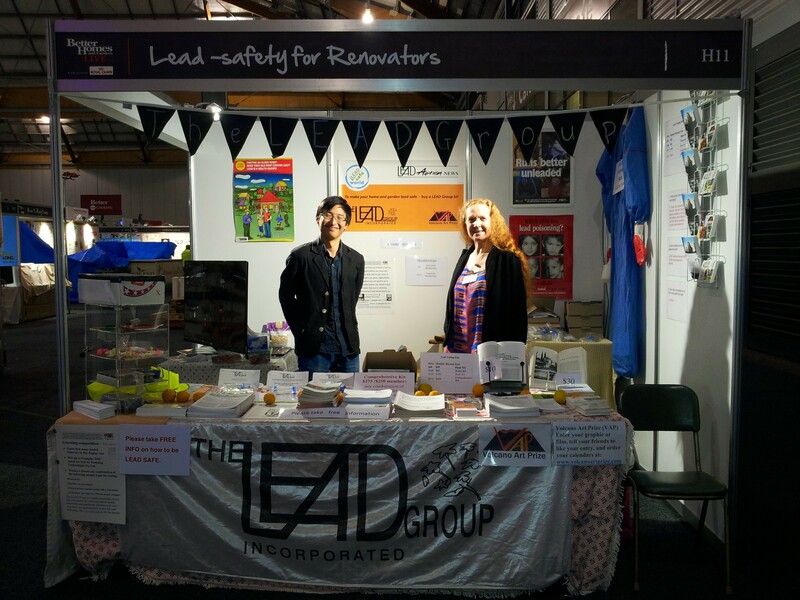 Better Homes and Gardens Live Expo Report - LeadSafeWorld by The LEAD Group Inc. 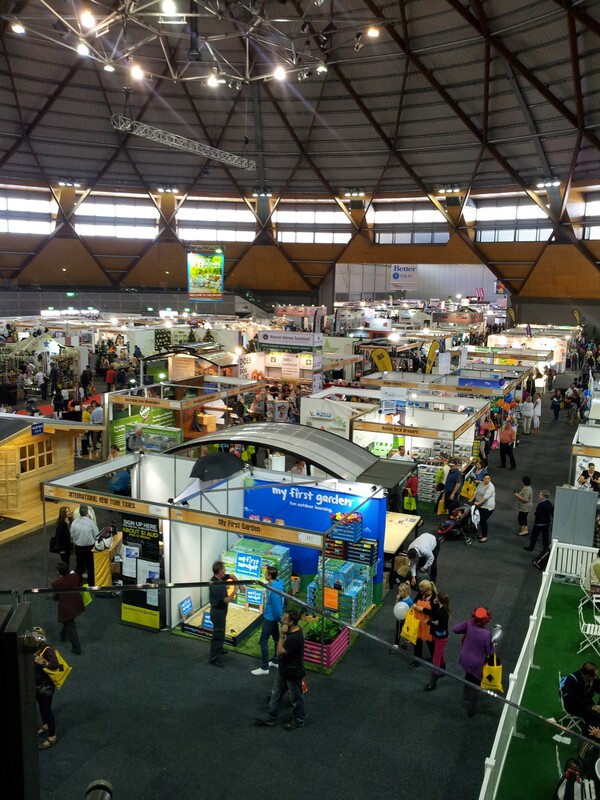 Some of you may know that we were at the Better Homes and Gardens Live Expo on the 19th, 20th and the 21st of September. The promotion went well. Although we didn’t sell any kits, people were very interested in the information we had to offer and Anna Muraoka (one of our interns from Macquarie University) was kind enough to take some excellent photos at the event for us. 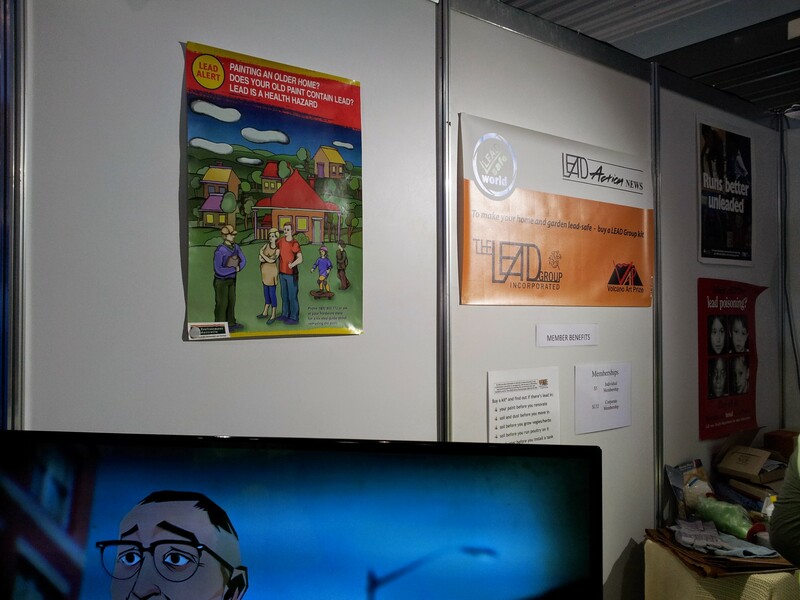 The photos below should give you a good idea of what our stand was like and some of the sights from the expo. Click on the images for zoom. 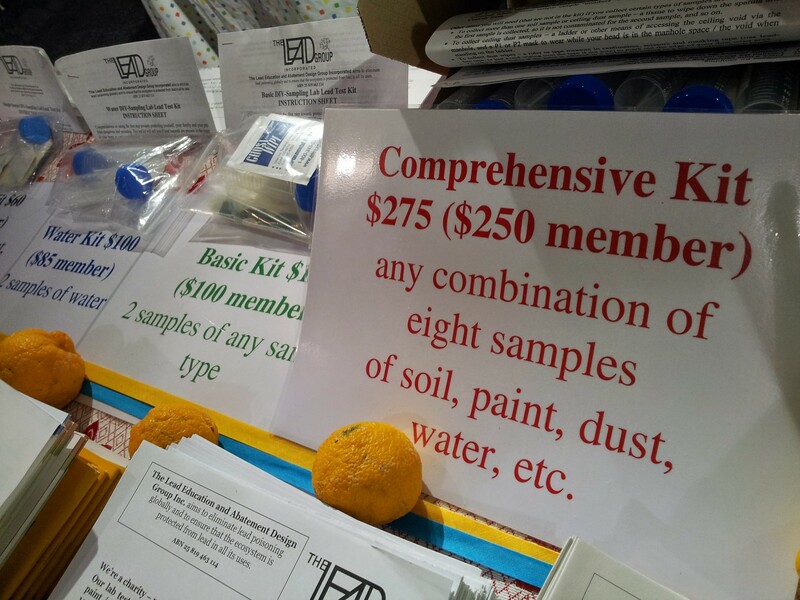 The LEAD Group’s testing kits were available for purchase at the expo! 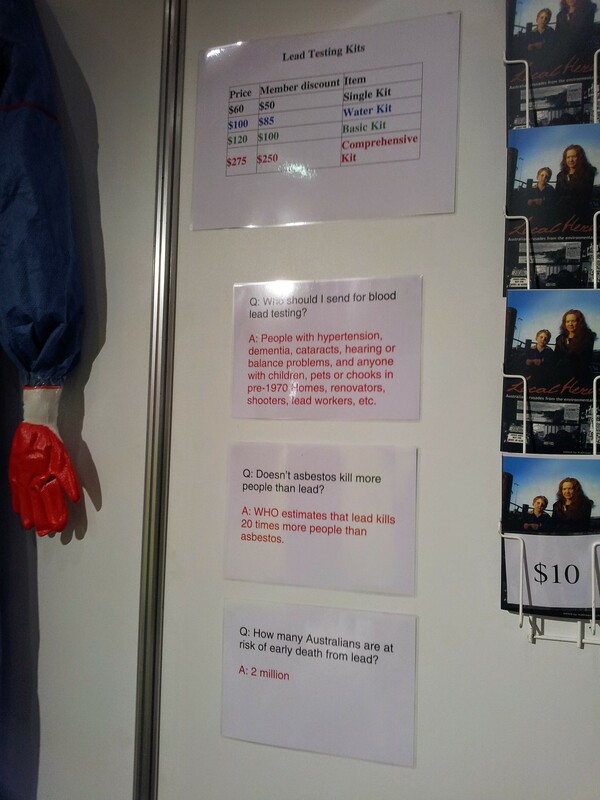 This simple FAQ section informed attendees about the statistics & symptoms of lead poisoning. 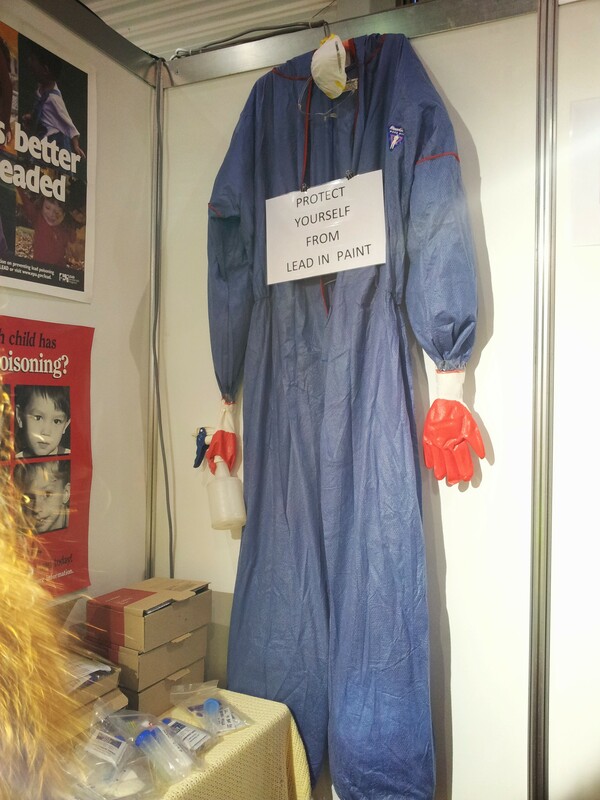 Some lead awareness posters to advise attendees to get their own homes tested for lead. A bird’s eye view of the events. 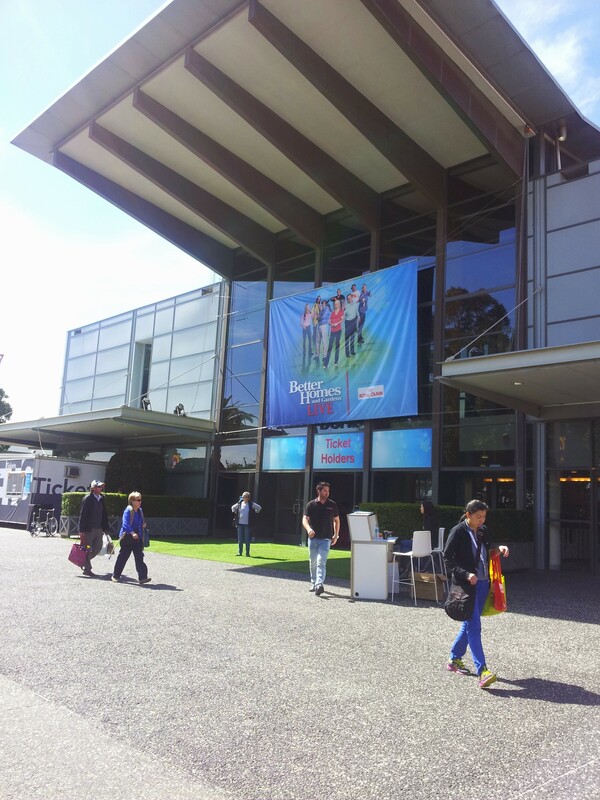 Taken at the entrance of the Showground. 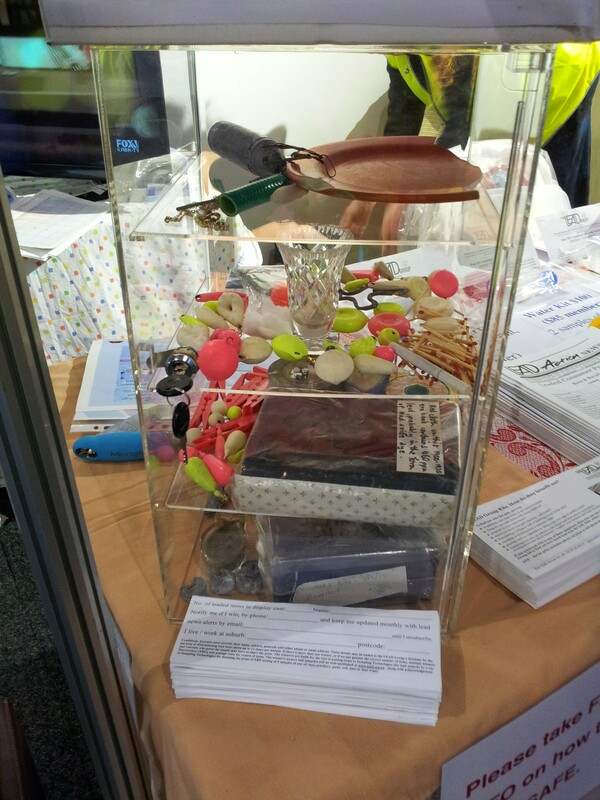 Guess how many leaded items are in this container! Please wear one of these when you’re doing any sort of renovating (especially sanding)! Rocky and Elizabeth behind the booth.